October is all about tanks that go bump in the night! A new vehicle debuts, monster tanks go on sale, and let us not forget special Halloween surprises not listed here (because if we revealed them, they wouldn’t be a surprise)! * All events and dates are subject to change without notice. Oct. 1-Nov. 1: We’ve added rewards for completing specific objectives during Tournament matches. Stay tuned to the Tournaments forum for more info. Do you have a Premium Account? Oct. 3-10: Premium Account holders can get a hold of a new vehicle. Check back on Oct. 3 for full details! Said vehicle goes on general sale Oct. 10-22. Note: Tiger 131 comes with a “zero-Skill” Crew with Brothers in Arms Perk. Primo Victoria: Official Tank of Sabaton! Oct. 4-Nov. 1: The Primo Victoria Tier VIII medium tank is on sale in the Premium Shop with a new bundle available on Thursday each week. October is all about Tier VIII! 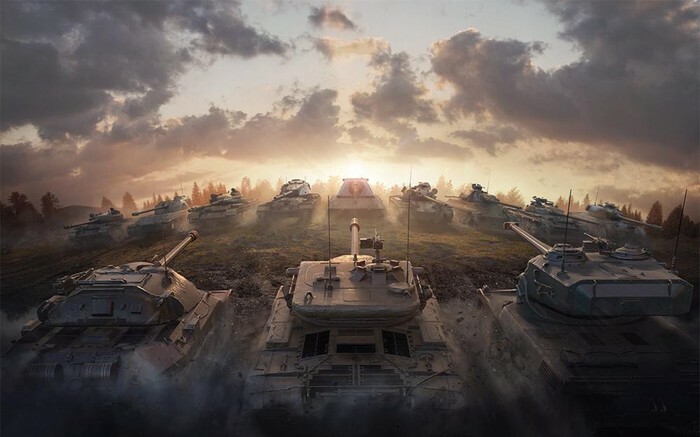 We feature a different Tier VII or VIII vehicle, bundled with Premium Account time, Boosters, and other goodies. Special Gold, Credits, and Premium Account time combination bundles are also available — each sale lasts only one week, so make sure and check back each Friday for a new offer! The first offer on Oct. 5 is the the German Panzer 58 Mutz — one of the top Tier VIII medium tanks in the game! A brand-new vehicle stalks the battlefield! Oct. 10-22: The vehicle in the Oct 3-10 pre-sale is available to non-Premium Account holders. Destroy enemies with an autoreloader! Oct. 11-22: The Progetto M35 mod. 46 Italian Tier VIII medium autoreloader is back in the Premium Shop. Oct. 15-22: A series of battle missions based on a key historical turning point during World War II. Hint: It did not take place in Europe. 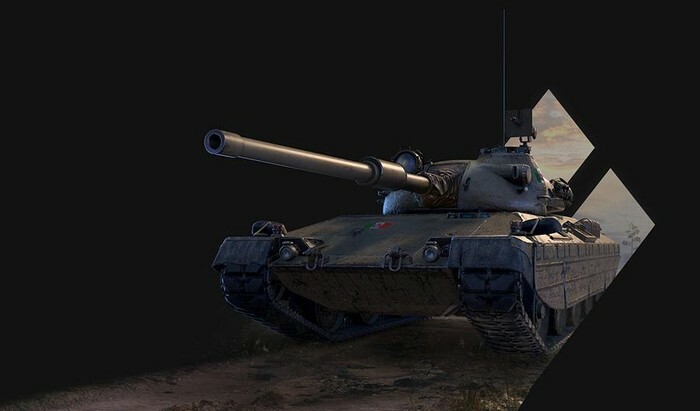 Get on the fast track to top-Tier vehicles; this month we turn to the Italian line and show you how to earn a Tier X medium tank. Oct. 18-22: Monster Tanks Arrive! Oct. 18-22: Prepare yourself for a duo of frightening mechanized monsters for Halloween! Hint: They’re heavies, and each is of a different Tier and nation. Next ›Tank models: Jagdpanther scalemodel… What is this??? A TANK FOR ANTS!? Do we know anything about this? Are you a young child? I swear almost in every sentence. Grow up kiddo. It will be the Kanonenjadgpanzer 105mm. 3rd of October is a bank holiday in Germany to celebrate reunification, so selling a German tank will be quite fitting. I’m pretty sure it’s the Kanonenjagdpanzer 105mm because 3 Oct its national day in germany. Just don’t add that Leviathan crap again this year. Are you a young child? You swear almost in every sentence. Grow up kiddo. New prem vehicle will be USSR light tank VIII? Well reading must be hard for him either way because the article is only talking about 1 new premium tank. I see under the pre-sale, states available to non-premium accounts. I wonder if that was an error on WG. Because all other pre-sales were for premium account holders. I just don’t get offering premium tanks like the Primo when it is of no use for training your upper tier crews that are not in the same type of tank. Unless they going to offer medium tanks for tiers 8-10 I won’t be buying it.